Sheriff Carmine Marceno introduces his newest recruit, Deputy Chance, to the Lee Board of County Commissioners. Sheriff Marceno addressed the Commissioners about his safety initiatives including school safety, combating the opioid epidemic, which is a nationwide problem, and his zero-tolerance policy on animal cruelty, according to the Lee County Sheriff’s Office press release. The Sheriff expressed his compassion for all, especially the defenseless. The County Commissioners had an opportunity to meet Deputy Chance and see for themselves how this pup, who was once left to die, is experiencing a new “leash” on life as a member of the LCSO office. 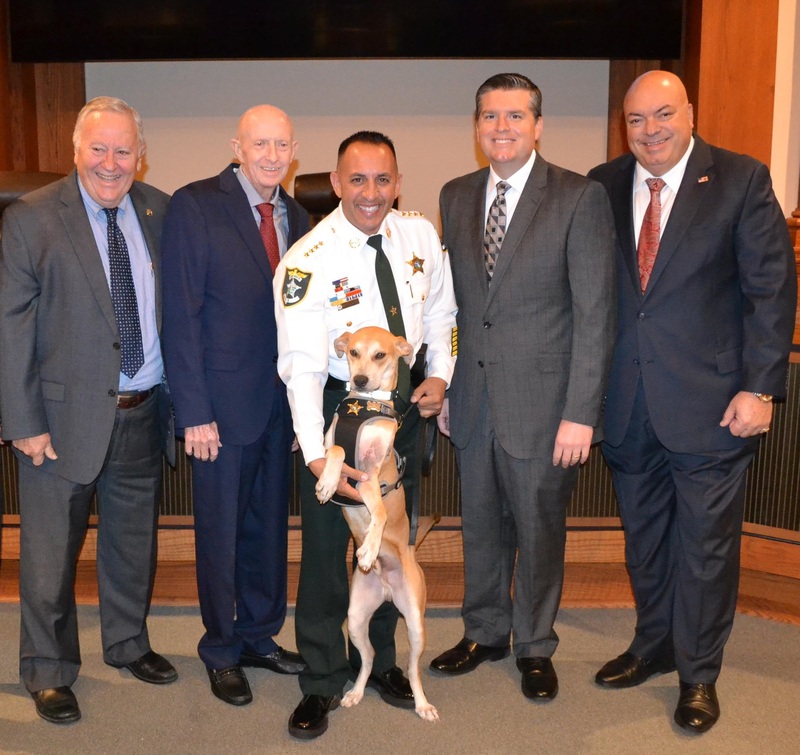 The LCSO would like to invite everyone to our “Deputy Dogs – Pets on Patrol” kickoff event which will be on April 13 from 11 a.m. – 1 p.m. at Bell Tower. The program is an enhanced neighborhood watch effort where citizens can sign up with their dogs and make Lee County an even safer place to live, per the press release. Additional details about the event will be posted on our social media platforms and website. Previous articleWi-Fi coming to 21 Cape Coral parks; but what are the risks of public hotspots?